When St. Mary’s professor and writer-in-residence, Diane Gonzales-Bertrand’s children were growing up, she realized she couldn’t find many children’s books her family could identify with. In the early 1990s when she started working at St. Mary’s University, Bertrand was encouraged by her colleagues, Sister Ann Semel, S.S.N.D., and Rose Marie Cutting, Ph.D., to write children’s literature. Bertrand reads to a group of San Antonio elementary students during a recent visit. “There are so many stories that are still not a part of children’s literature and I’m trying to fill in the gaps,” said Bertrand. Bertrand makes a conscious choice to allow her literature be influenced by Hispanic culture and also includes universal themes that all children can relate to. Many of her stories are inspired by family experiences and memories. Bertrand has received numerous awards for her books, and her most recent book, Cecilia and Miguel Are Best Friends/Cecilia y Miguel son mejores amigos, is no different. The book made SpeakingLatino.com’s Best 20 Latino Children’s Books From 2014 List. Her book was also selected by Rey Feo LXVII Jon Gary Herrera to be donated to 70 local elementary school libraries. What makes her children’s books successful? She also attributes her success to the small publishing companies that strongly support Latino literature and publish her books. When she’s not writing and teaching, Bertrand also makes time to read to children at local elementary schools and advocates for two things, reading and education. She believes it is important for Hispanic children to see a successful adult they can identify with. 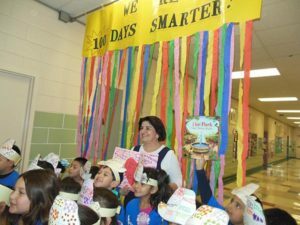 In addition to promoting literacy, she is also passionate about helping young girls realize their potential and options. “I try to encourage them to go to school and come to St. Mary’s University.” said Bertrand. What advice does Bertrand have for aspiring writers?